Special Days 2017 is coming soon! Get your Camper Applications submitted before we’re full! Staff and SIT Applications are available here. Partners Camp is August 6 – August 12, 2017. 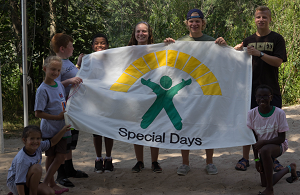 Special Days Camp is August 12 – August 19, 2017.